My new holiday card is called Zine! I love how it turned out. 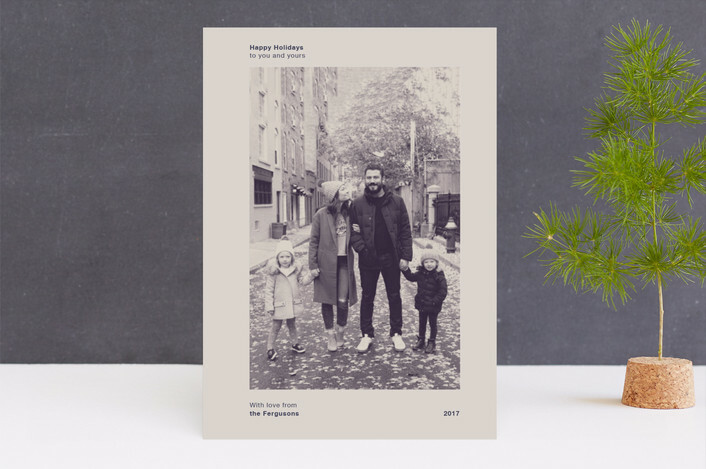 It's pretty cool – when you upload a black and white photo to the Minted website and put it in this card design, I've set up the file in a way that it makes your photo look like a monotone print (like below). Pumped! You can buy it on Minted here.